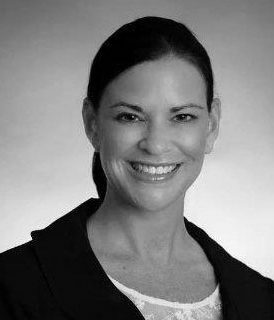 Erin McQuillen has 15-plus years’ experience in the recruitment industry. During her career at both global and start-up search firms, she developed extensive experience as a full life-cycle recruiter across a broad spectrum of industries and various disciplines. She specializes in the placement of legal marketing professionals at top-tier regional, national, and international law firms and Fortune 500 Corporations. Additional areas of expertise include the placement of attorneys, in-house counsel, senior management, and litigation support/eDiscovery professionals. Erin currently focuses on the recruitment of legal marketing, business development, corporate communications, public relations and human resource professionals for global law firms and corporate legal departments in all major markets. Erin believes strongly in collaborating with the legal professionals she counsels, not only to assist in their career planning but in maintaining relationships with them that go beyond the placement. She is a strong advocate of partnering with her candidates to achieve their career goals and is diligent about remaining in contact with the professionals she places. One of her strengths is her ability to work closely with candidates to help them identify opportunities that are consistent with their individual career goals, a skill-set she takes great pride in. Erin graduated from Merrimack College in North Andover, MA where she earned Bachelors Degree’s in English and Fine Arts. A native of Boston, she now resides in Newport, Rhode Island, a location that enables her to stay closely connected to both the New York and Boston legal markets as well as the additional East Coast markets that she serves. In her spare time, Erin enjoys yoga, the beach, and spending time with family and friends. Copyright © 2019 Wegman Partners. All rights reserved.